Advantage Treatment Shampoo for Dogs is an unscented shampoo that treats dogs and puppies that are infested with unwanted pests. This bottle is 12 ounces. 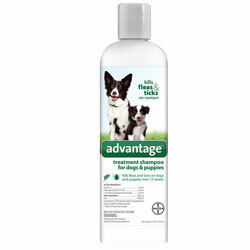 Get rid of fleas and ticks on your dog by ordering Advantage Treatment Shampoo today!